If you have been following me on this blog (entclass.com.ng), you'll agree with me that my cheats are well tested before posting. And this has gained me more trust from many users of this blog. 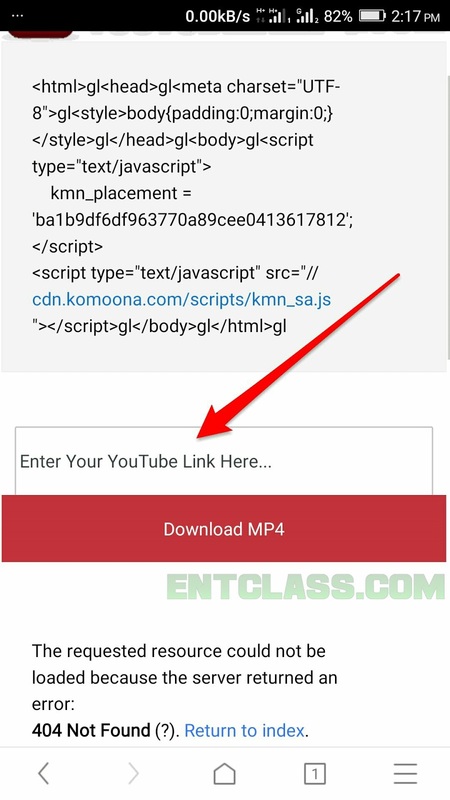 Ever since i posted the steps to browse and download unlimitedly on UC Mini handler using Glo, I've been receiving emails and some complaints on how to download YouTube videos using UC Mini Handler Glo cheat. So today, after several attempts to make this work, I'm happy to tell you guys that i have the working steps right here in this post. It's very simple and not as complicated as you may have thought it should be. I will be quick with the settings. Kindly follow me along. 1>> Click here to setup UC Mini handler for Glo free browsing cheat, if you are new to it. 2>> After setting it up, visit youtube.com. P.S: Don't visit YouTube through muchproxy, securefor or any other proxy site. 3>> Search for the video you want to download and click the video. 4>> When you've clicked the video, scroll down a bit, you will see a link for watch video and another for share video. 5>> Hold the link for share video and you will see a popup option. 6>> Now, click on Page info, and then click on Copy beside LINK URL. 7>> When you've done that, visit securefor.com in a new tab. 8>> Scroll down and input this website youtubeinmp4.com inside the box and click on GO. 9>> After that, the link you copied from youtube, input it on the space provided in the website. 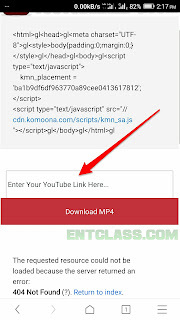 >> All you need do now is click on Download Mp4 and select the format you want to download your video in. That's all friends. This is how i download videos from YouTube in Full HD. Note that downloading in Full HD attracts more size. If you have any questions to ask, just leave it in the comment box below, i will reply almost immediately. Please help share this post using the Share buttons below. thanks for the update but I already know it b4 it not new to me. Thanks. But this one Na long thing o. Chai. I go dey use keepvid.com dey go. No hassles. Hi kachi, thanks for the update. For the past few weeks, Glo keeps disconnecting my line from using data if I don't have an active subscription as a result, I haven't been able enjoy tweakware, anonytun and other tweaks. I've tried everything I found on the internet. Please what can I do about this? Or do I need a new SIM? Help me o! I've been in your shoes before. What you have to do is to wait for them to activate your line for data again. It might take 3days or so. You might be doing something wrong. Kindly check again and try out the settings above. Is it that it's not working for you or it's working but very slow? Thanks for the update. This Is good. Does it really browse cause the last time I Tried it wasn't browsing? pls I haven't bn able to browse with d glo. ive done everything using d anonytun. it'll connect, d key will display but wen I open my browser, it wouldn't browse. plz wat shld I do? Try rebooting your phone and clear the cache of the vpn app.